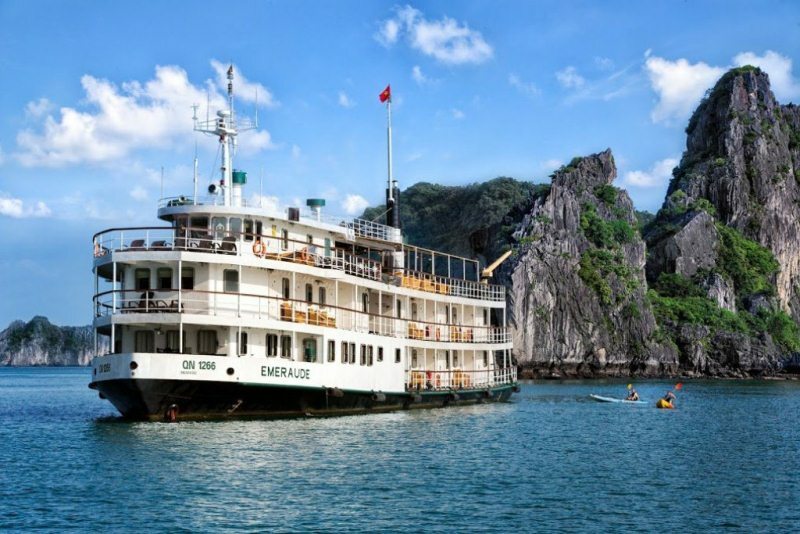 Explore the amazing natural wonder of Halong Bay on a two day cruise through the jade green waters of this UNESCO World Heritage site. There is no doubt that the best way to see its primitive beauty is from the air on seaplane with both way experience of taking off and landing on water. Even better to see it all closing up as you land on water for an overnight boat stay on the Emeraude metal cruise, visit fishing villages and kayak past jungle-clad karsts towering up out of the water. Travel by tender to see caves, go fishing or even a spot of swimming. City, Quang Ninh Province, Viet Nam. * Entrance fees, tourist tickets and government taxes. * Change of date is dependent upon seating availability. * Full payment upon booking. * Change, delay & cancellation policy applied. * Non-refundable after payment is made. 10:15 Check in at Hai Au Aviation waiting lounge. ancient art of Tai Chi there. 11:00 11:30 Disembarkation from Cruise. Hanoi downtown. Drop off at the hotel in Hanoi Old Quarter. End of services. Contact us now at info@holidayinvietnam.com or sales@holidayinvietnam.com to book or get more information on other Halong cruise tours.